Workplace Diversity provides many benefits and sets the stage for more creative and innovative ideas from employees of different cultural backgrounds. A proactive and positive view on workplace diversity is a factor attributed to creating effective organizations. 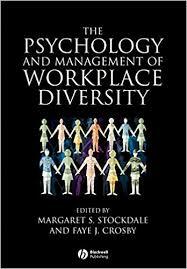 Get custom written research on workplace diversity and the importance of it from Paper Masters. Our writers will assist you in looking at the statistics and facts that surround the often debated issue of workplace diversity. In today’s workplace, a respect for diversity is a must. According to recent reports, more minorities are entering the U.S. workforce than ever before in history. Although the benefits associated with workplace diversity are becoming more widely known, many organizations still do not have diversity-training programs in place. According to the New York Times, in the year 2003 only 21 percent of individuals surveyed indicated that they had ever participated in a workplace diversity program. These results indicate that the steps taken by management to increase workplace diversity may not be filtering down to the employee level. Currently, approximately 29 percent of the population is comprised of minorities with this number expected to rise to 50 percent by the year 2050. Organizations that take proactive steps in acknowledging the contributions of minority groups are less likely to experience the negative side-effects associated with diversity such as ethnocentrism, prejudice, and negative inter-group competition. There is a distinct difference in manager and employee perceptions regarding workplace diversity. There are many benefits associated with workplace diversity. Diversity in the workplace sets the stage for more creative and innovative ideas. Employees from different cultural backgrounds bring different viewpoints to the workplace. When diverse employees are motivated to voice their opinions, a competitive advantage for the organization results. Effective organizations promote cultural diversity training for company personnel. Knowledge of the norms and customs of differing cultures reduces barriers and opens new channels of understanding and acceptance. Managing Diversity in the Workplace research papers discuss how to effectivey motivate coworkers to coexit and contribute to the goals of an organization. Employment Discrimination - The federal government assists employees from being discriminated against in the workplace. Diversity and Demographics - The importance of diversity and demographics in research papers. Diversity Climate - Diversity Climate Research Papers examine an order placed on diversity of the climate. Ethnic Diversity - A research paper on ethnic diversity discuss the ways societies accept and promote multiple cultural and ethnic traditions. Paper Masters writes custom research papers on Workplace Diversity that cover many aspects of MBA and Business management.